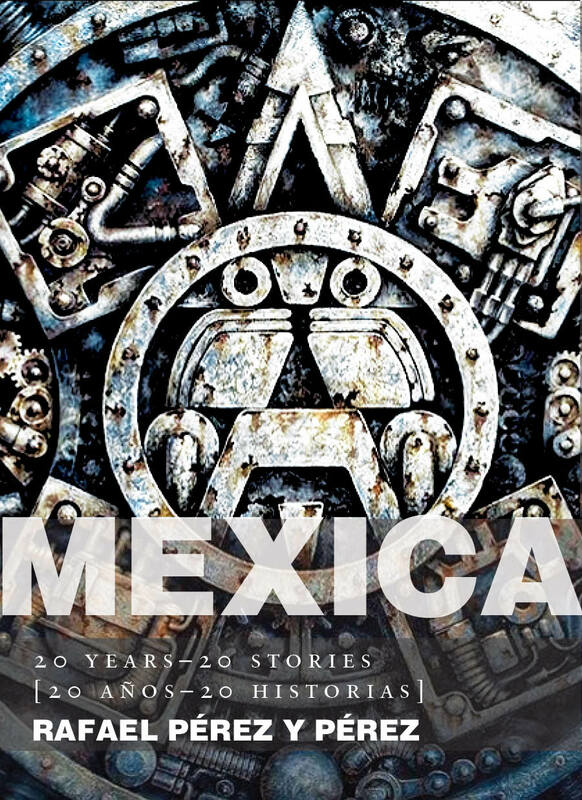 Mexica: 20 Years–20 Stories [20 años–20 historias] contains 20 short narratives developed by the computer program MEXICA. 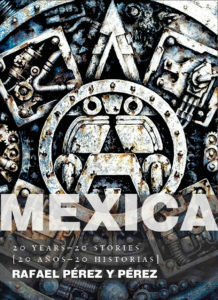 Plots describe fictional situations related to the Mexicas (also known as Aztecs), ancient inhabitants of what today is Mexico City. This is the first book of short-stories produced completely by a creative agent capable of evaluating and making judgments about its own work, as well as incorporating into its knowledge-base the pieces it produces. By contrast with other, statistical models, MEXICA is inspired by how humans actually develop fictional stories. The book, in both Spanish and English, also includes source references related to the program. Preface by Fox Harrell. Rafael Pérez y Pérez interviewed on Mexican television. See below for a video piece on one of the stories.